Who’s more afraid of death: Atheists or the devoutly religious? You might be tempted to think atheists are more worried about it. After all, we don’t believe in an afterlife, so death really marks the end of everything. Unlike religious people who are absolutely certain there’s something better awaiting them on the other side, atheists don’t put stock in that kind of false hope. But according to a new meta-analysis of death anxiety published in the journal Religion, Brain, and Behavior, atheists and the extremely religious are about the same when it comes to not fearing death. The researchers proposed an inverted-U curve to describe how scared people are of death. Those on the left who aren’t religious have very little anxiety about death… just like those on the far right. It actually makes a lot of sense. When you realize death is just a natural part of life, and you’re confident about what will happen after you die, and you’re focused on making the most of the life you have, it’s not surprising that atheists don’t fear death. In fact, based on that curve, the people who fear death the most are the ones in the middle who aren’t exactly sure what they believe. That makes sense, too. I would suspect the scariest thing about dying is not knowing what’s going to happen to you, and it’s the wishy-washy religious types who fit that mold perfectly. … while this study covered a huge sample size, its results can’t be considered definitive because it wasn’t totally inclusive — it counted mostly American beliefs, and dealt only with Abrahamic religions. In the paper, the researchers note that the link between the fear of death and religious feelings might change from location to location, and it might vary depending on the religion in question. Setting aside those “what ifs,” I’m not surprised by the results. It doesn’t make death any easier for atheists to deal with, but it also suggests that we’re not going to be swayed by evangelicals’ promises of a joyful afterlife. We’re going to be just fine, thank you very much, even if that means not spending time in a mythical place. 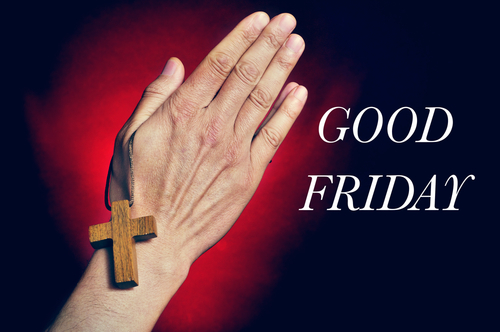 OK House Passes Bill Making Good Friday a State Holiday... Because Everybody's Christian, Right?